Gibraltar’s home Euro 2020 Qualifiers will all be held at the Victoria Stadium in Gibraltar, while friendly internationals at home to Estonia and away at Kosovo have also been added to Gibraltar’s schedule in 2019. Unlike the previous Euro Qualifiers, which were held in Faro, Gib fans will now be able to watch their national team take on Republic of Ireland, George, Denmark and Switzerland at the Victoria Stadium during the course of 2019, an announcement which will no doubt be a major boost not only to football but to Gibraltar as a whole. 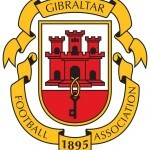 A statement by the Gibraltar Football Association read: “The GFA is delighted to announce the Victoria Stadium as the venue for Gibraltar’s home matches during the entirety of the UEFA Euro 2020 qualifiers. As the Victoria Stadium does not currently meet some UEFA requirements in respect of the Euro 2020 qualifiers, the GFA have been involved in intensive discussions with UEFA in order to ensure that international football can continue to be played in Gibraltar. The GFA’s success in bringing football back home again will involve the carrying out of further works to the floodlighting system, as well as further improvements to media and broadcasting facilities on site. In addition, friendlies at home to Estonia on March 26th, and away to Kosovo on the 10th October have also been confirmed, on the two dates Gibraltar don’t have matches in the Euro Qualifiers – bringing the total games the national team will have in 2019 to 10. Gibraltar have played Estonia twice in friendlies and twice in the 2018 World Cup Qualifiers, earning a 1-1 friendly draw in Tallinn back in May 2014, while the meeting at Kosovo will be the first between the two at international level – Europa did play Prishtina in the Europa League qualifiers last summer, while Lincoln also faced Drita in Champions League in the summer.